Não consegui visitar as 10 atrações “top” da Austrália, porém, o que eu conheci, consegui fazer uma boa mistura de lugares e ter uma idéia geral sobre esse país. Nossa viagem nos levou para uma cidade conhecida mundialmente, vibrante, com sua famosa queima de fogos na festa de Ano Novo, para as montanhas “azuis” e para a pedra arredondada gigante e mística localizada no centro do continente. Sydney com seus 4.5 milhões de habitantes é lembrada devido a sua ópera futurística, a ponte espetacular Harbour, uma das mais extensas do mundo e pelas suas praias (cerca de setenta), como por exemplo, as praias de Bondi e Manly. A cidade está localizada na costa leste da Austrália, banhada pelo Oceano Pacífico e fazendo limites com vários parques nacionais. Uma das belas regiões naturais, é o “Greater Blue Mountains Area” (Área Maior das Montanhas Azuis), localizado a 60 km oeste de Sydney e que desde o ano 2000 integra a Lista do Patrimônio Mundial da UNESCO. Você pode sentir o cheiro de muitas espécies de eucaliptos e esse ar carregado da fragância do eucalipto, juntamente com o ar das montanhas ocasiona um tom azulado nas montanhas. Não esqueça o “must” para todos que viajam para a Austrália, a rocha de arenito gigantesca localizada no centro desse grande continente. “Uluru“ é o nome do segundo maior monolito da terra, provavelmente o mais famoso, chamado de “Ayers Rock”. É o santuário dos nativos australianos. Várias cavernas foram encontradas com pinturas aborígenes nesse lugar. O escopo deste gigante, o marco do quinto continente, possui 10 km de largura. É um lugar fantástico para assistir aos jogos de cores no nascer e / ou pôr do sol, quando os padrões de sombra parecem vagar ao longo desse enorme colosso composto de arenito. 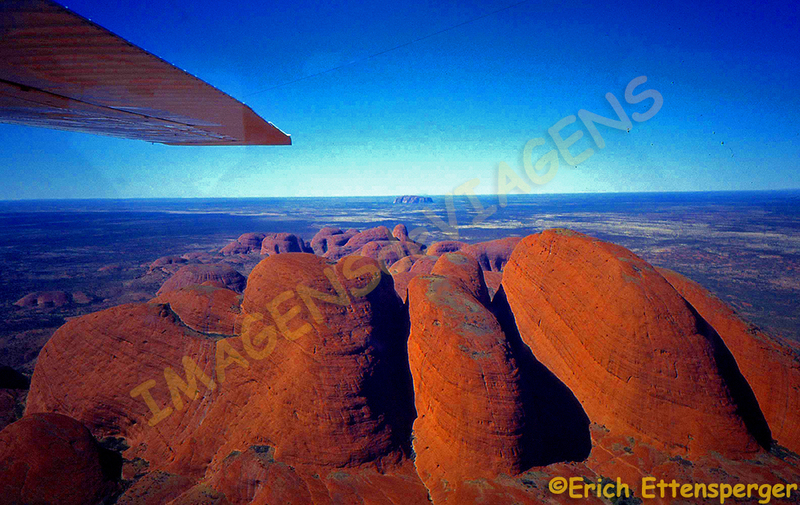 Outra atração impressionante para mim foi o grupo de rochas chamado “Olgas”, os quais estão localizados a apenas 30 km de Uluru. Certamente você será capaz de ver mais cedo ou mais tarde, outro morador típico da Austrália … o canguru !! 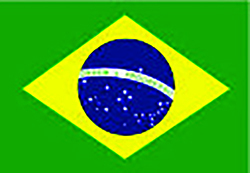 Observação: se você quiser continuar “viajando” com o nosso blog, clique no botão “seguir” localizado no canto inferior direito dessa página. Você receberá um email com um link para confirmar a assinatura desse blog (não paga nada). Quando clicar no link, você será direcionado para uma página em inglês (essa página explica o procedimento no caso de você desejar um dia parar de seguir o blog) e então, você não precisa fazer mais nada. Ich habe auf meinen Reisen nach Australien zwar nicht alle der 10 TOP-Sehenswürdigkeiten sehen dürfen, dafür aber konnte ich zumindest einen kleinen jedoch feinen Mix des Landes kennenlernen. Unsere Reise führt uns heute in eine weltbekannte, vibrierende Stadt mit seinem weltweit berühmten Silvesterfeuerwerk, in „blaue“ Berge und zu einem gigantischen, mythischen Felsbrocken im Zentrum des Kontinentes. Sydney mit seinen 4,5 Millionen Einwohnern ist weltbekannt u.a. für seine futuristische Oper, der spektakulären Harbour-Brücke, eine der breitesten der Welt und seinen 70 Stränden, sehr bekannt sind der Bondi- und Manly-Beach. Die Stadt liegt an der Ostküste Australiens am Pazifischen Ozean und grenzt an verschiedene Nationalparks. Einer davon ist der „Blue Mountains Nationalpark“, 60 km westlich von Sydney gelegen und seit 2000 UNESCO-Weltkulturerbe. Man kann den Duft vieler Eukalyptusarten verspüren und genau dieser verursacht dann mit der Höhenluft der Berge dieses „blau“ anmutende Luftflimmern, der Namensgeber dieser Gebirgskette. Nicht zu vergessen und ein „Muß“ für jeden Australienreisenden schließlich dieser gigantische Sandsteinfelsbrocken mitten im australischen Outback im Zentrum dieses riesigen Kontinentes. „Uluru“ ist der Name dieses zweitgrößten Monolithen unserer Erde, wahrscheinlich bekannter unter dem Namen „Ayers Rock“. Es ist das Heiligtum der Ureinwohner Australiens und man fand zahlreiche Höhlen mit Malereien der Aborigins. Der Umfang von 10 km belegt die Grösse dieses Giganten, dem Wahrzeichen des 5. Kontinentes. Fantastisch anzusehen die Farbenspiele bei Sonnenauf- und/oder Sonnenuntergängen, dann scheinen die Schattenmuster auf diesem riesigen Sandsteinkoloss entlang zu wandern. Nicht weniger beeindruckend war für mich die Felsengruppe der „Olgas“, die sich nur etwa 30 km vom Uluru befindet. Sicherlich werden Sie auf einer Australienreise früher oder später dann auch einen weiteren typischen Bewohner sprunggewaltig zu Gesicht bekommen…das Kängeruh !!! HINWEIS: Falls Sie das “SEGUIR (Reisen)” mit unserem Blog fortzusetzen wünschen, dann klicken Sie in der unteren rechten Ecke dieser Seite einfach auf “Weiter”. Sie erhalten dann eine E-Mail mit einem Link zur Bestätigung und Sie werden dann über jeden neuen Post des Blogs automatisch informiert. On my travels to Australia I was not able to see all of the 10 TOP attractions, but I was able to get to know a small fine mix of this country. Our journey leads us today to a world-famous, vibrant city with its very famous New Year’s fireworks, to “blue” mountains and to a gigantic mythical boulder in the center of the continent. 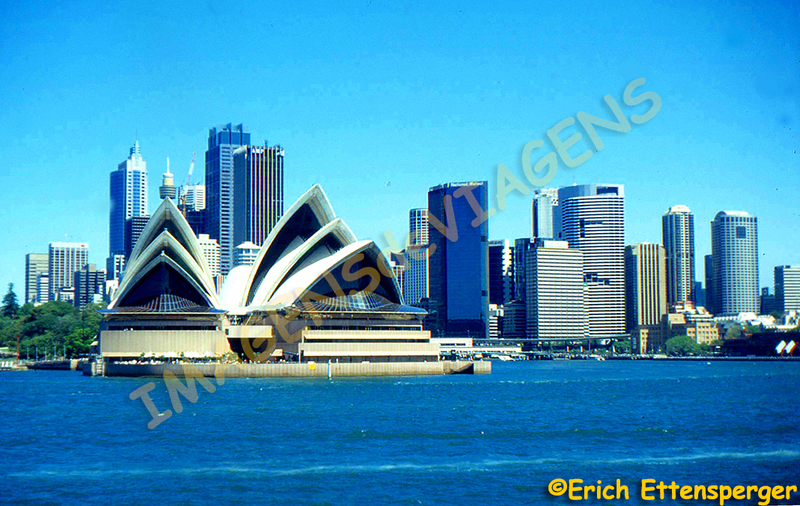 Sydney with its 4.5 million inhabitants is world-known for its futuristic opera, the spectacular Harbor Bridge, one of the widest in the world, and its around 70 beaches, e.g. 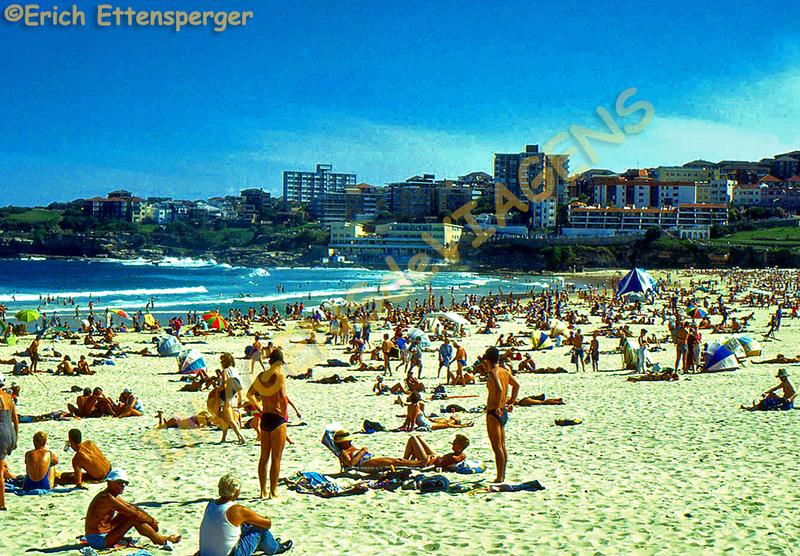 the Bondi and Manly Beach. The city is located at the east coast of Australia at the Pacific Ocean and borders with various national parks. 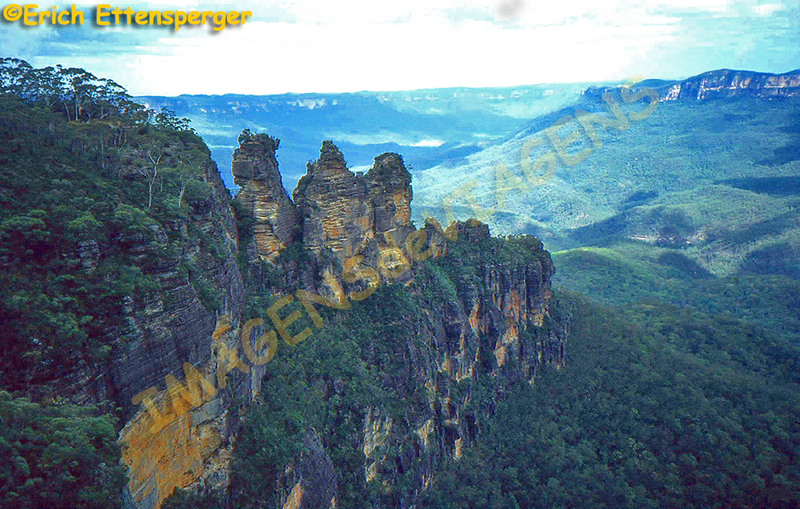 One of them is the “Blue Mountains National Park“, 60 km west of Sydney and since 2000 UNESCO World Cultural Heritage. You can feel the smell of many eucalyptus species and precisely this causes with the mountain air this “blue” appearing air flicker, the name giver of this mountain chain. 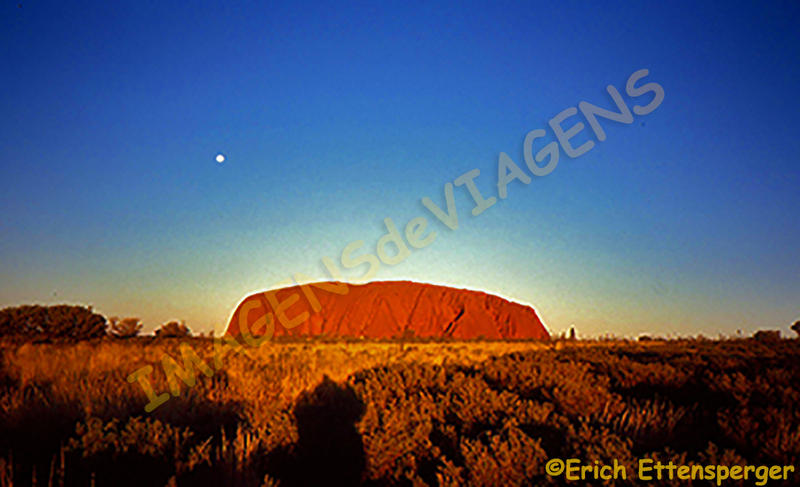 Not to forget and a “must” for every Australia traveler, this gigantic sandstone rock in the middle of the Australian outback in the center of this huge continent. 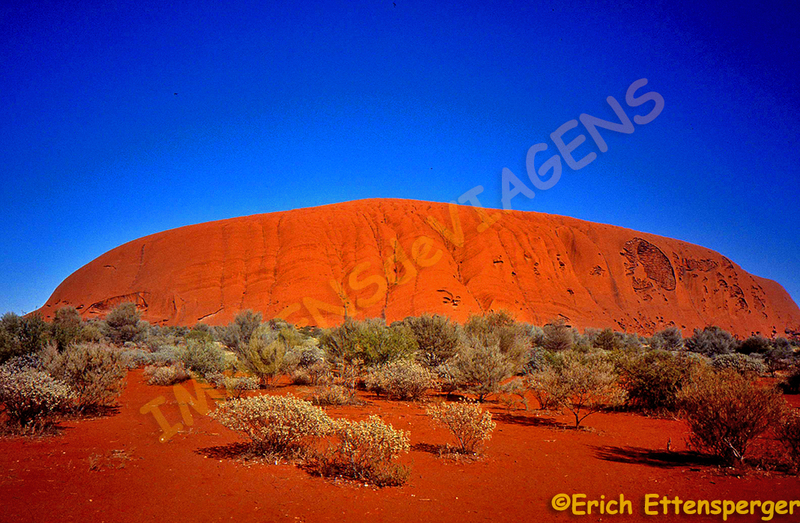 “Uluru” is the name of this second-largest monolith of our earth, probably more famous under the name “Ayers Rock”. It is the sanctuary of the aborigines of Australia and numerous caves were found with Aboriginal paintings. The scope of this giant, the landmark of the 5th continent, is 10 km wide. Fantastic to watch the color games at sunrise and / or sunsets, then the shadow patterns seem to wander along this huge sandstone colossus. Not less impressive for me was the rock group of “Olgas”, which is only about 30 km from Uluru. 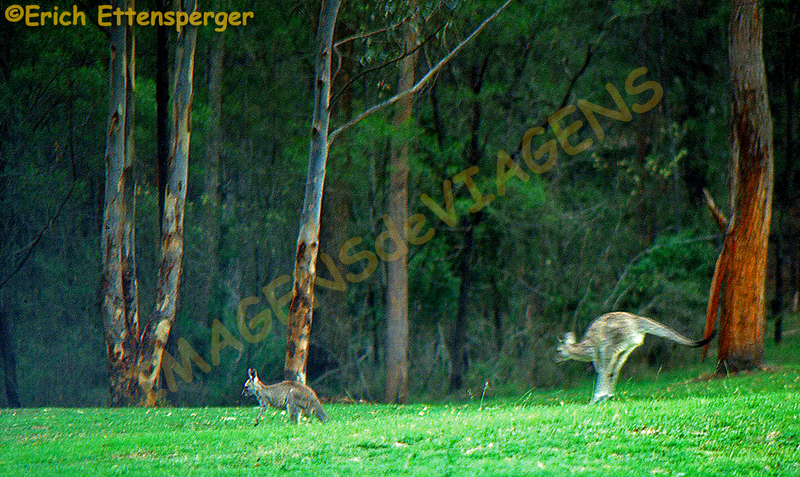 Certainly you will be able to see sooner or later another typical resident of Australia … the kangaroo !! NOTE: If you wish to continue the “Travel” on our blog, then click in the bottom down right corner of this page simply click “SEGUIR (FOLLOW)”. You will then receive an email with a link of confirmation and you will be automatically informed of any new post of the blog.